Beth with Craig Sheilds, Edwin McCain’s Band Manager. 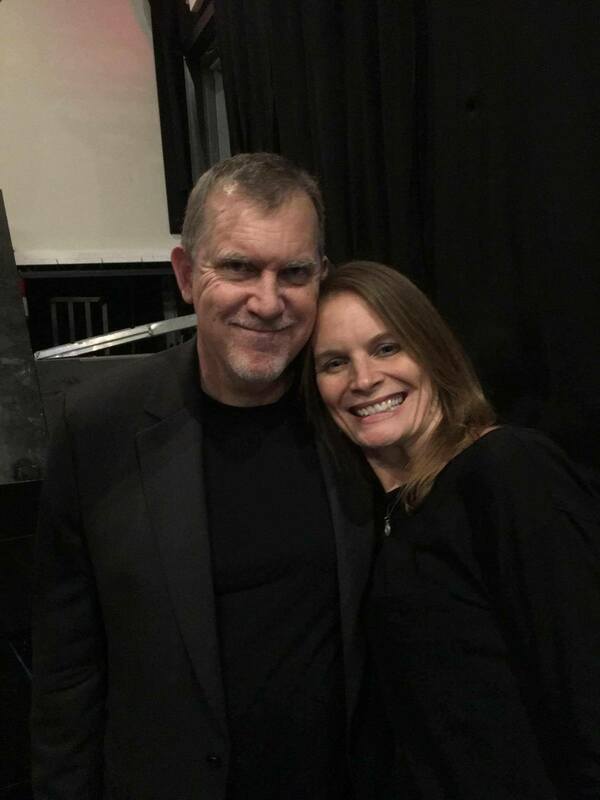 Craig has become a treasured friend since that first night in 2015 when she heard the band play “What Matters” on stage. Songwriters never know what their words and melodies will inspire in the hearts of those who listen. 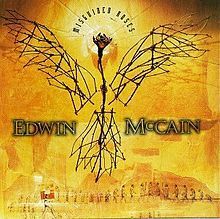 And no doubt when recording, “What Matters” (a song from his 1997 album, Misguided Roses), Edwin McCain had not a clue that one day it would prompt a successful real estate agent to shut down her thriving boutique real estate brokerage to open a non-income producing company named after his song. Beth remembers the first time she ever heard a song by McCain while driving off of Route 17 in Mt. Pleasant, South Carolina during college. Never before and never since has she pulled over to be able to pay attention to the radio to discern who was singing. “I remember the feeling of knowing it was a moment to record in my memory bank. When I learned that Edwin had attended College of Charleston and frequented the area, we started attending his concerts. I recall one time the Music Farm was sold out so I drove downtown and stood outside to listen. As soon as I heard ‘What Matters’ on his CD, I added it to my running tape mix and hoped during every concert that he’d play my favorite song. The very first time I left my infant son in 2003 for a date night with his Dad was to attend his concert in Charlottesville, VA. I booked a hotel room near the venue and my parents watched the baby Will while I sat gazing at the stage hoping to hear the sound of his guitar introducing my favorite lyrics,” she recalls. Fast forward a dozen years later to a late night of studying to gain her real estate broker’s license. She began a Facebook messenger exchange with her best friends from high school and college. All three busy mothers now, they hadn’t made time to get together for ages, and Beth asked if they had plans for February 18, 2015. Considering it was still 2014, they were free, so Beth paid almost $200 per ticket online for a nearly sold out show at Wolftrap to treat herself and her friends to a reunion at an Edwin Concert. It was that experience, says Beth, that helped her to realize that the “ask and you shall receive” verses in the bible really did apply to anything and that she just had to start asking! As the song finished and she wiped her eyes, she made a vow to stop “choking on a lifetime of never taking a chance” and since then has been on an amazing journey that is still unfolding. Since that monumental day in the winter of 2015, Beth has been on a journey to discover her passion and purpose in life. A journey of unlocking her dreams, taking chances and discovering new ways to make a difference. From opening and closing a real estate brokerage to changing her family dynamics (to be a thriving co-parent instead of incompatible spouse), from transforming her travel (which consisted mostly of Costco visits in the neighboring town) to frequent trips all over the globe, from dragging her friends to Edwin concerts throughout the east coast to creating a philanthropic company (now an official nonprofit) named after “her song,” Beth now lives with her heart as her guide. This year she wrote the lyrics for her own song, “What Matters is your Heart” that’s available for download on Amazon, iTunes, Google Play and Spotify. She’s in the planning stages for a global fundraising endeavor called Dollar Dream Download that will officially launch in 2019. The initiative is explained in the youtube post beneath the video below. and make a change in this world…. There is only one team in this game.. So let it lead the way, hearts joined as one would save the day…. Beth Waller has the biggest heart of anyone I know. She is an amazing person who gives and gives . And then she gives some more. I love her like a daughter.